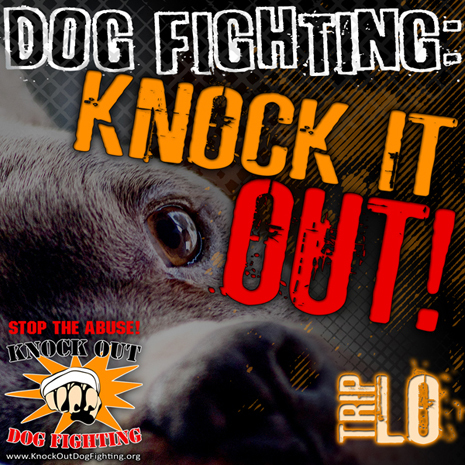 Knock Out Dog Fighting // Dog Fighting - Knock It Out! Dog Fighting - Knock It Out! and the housing and medical care for dogs rescued from dog fighting operations and other cruelty situations. You gotta make a change! You gotta be the solution! Open up your hearts spare ‘em from a cruel, cruel fate. We gotta stand up for the ones with that 4-legged walk.